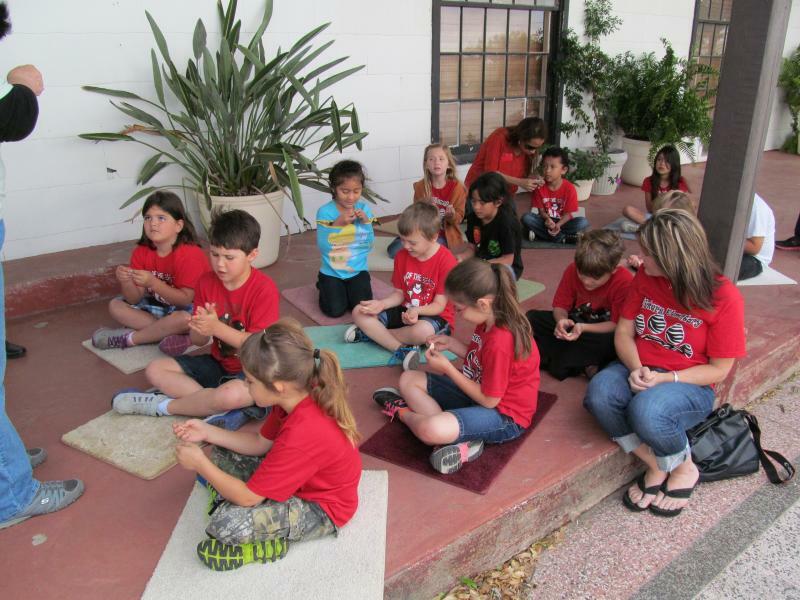 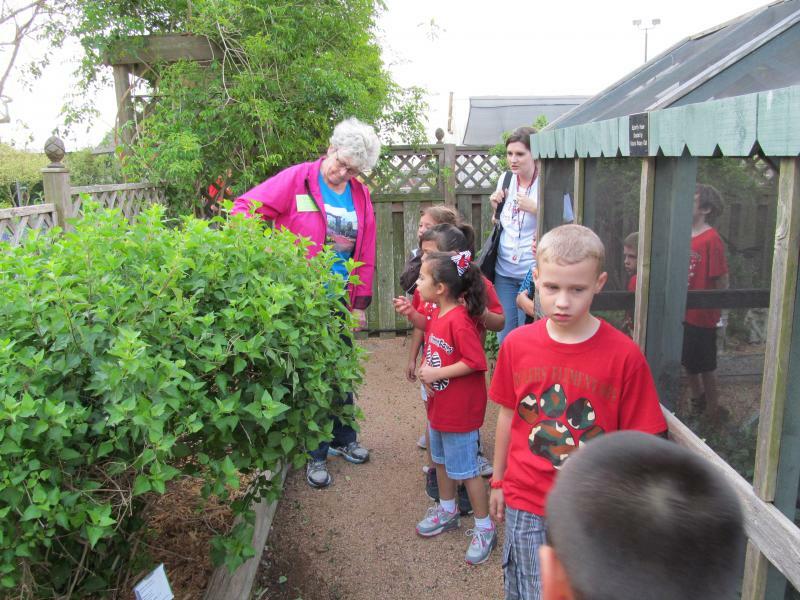 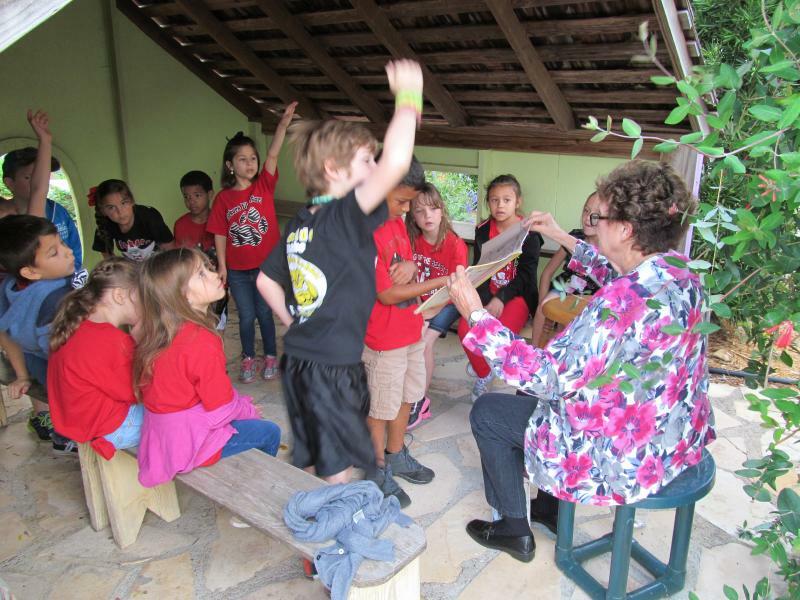 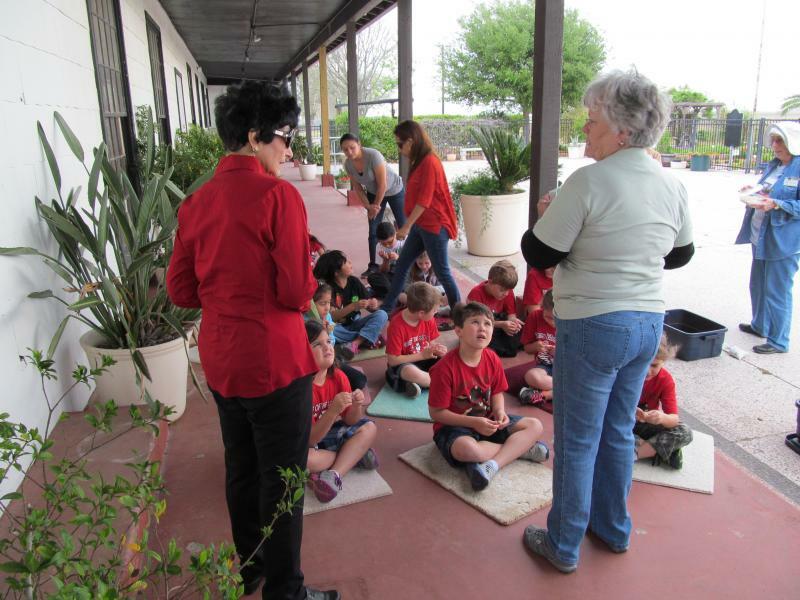 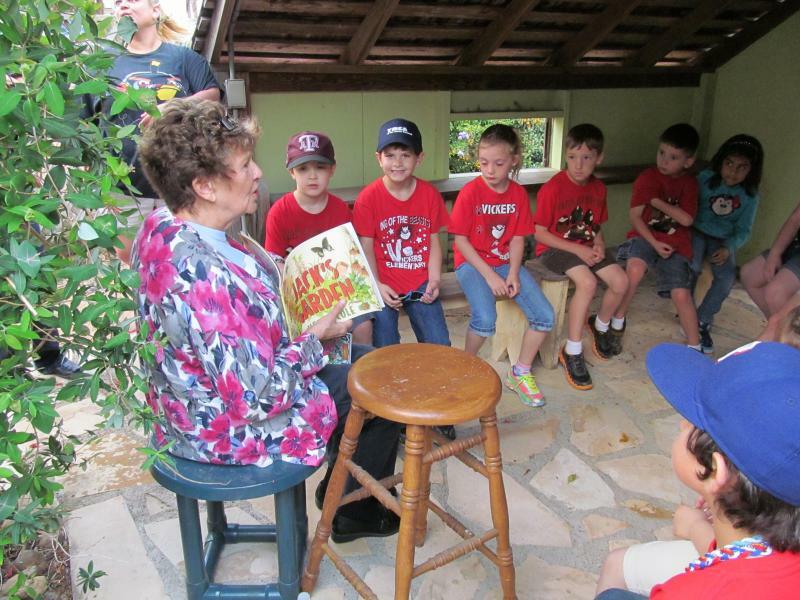 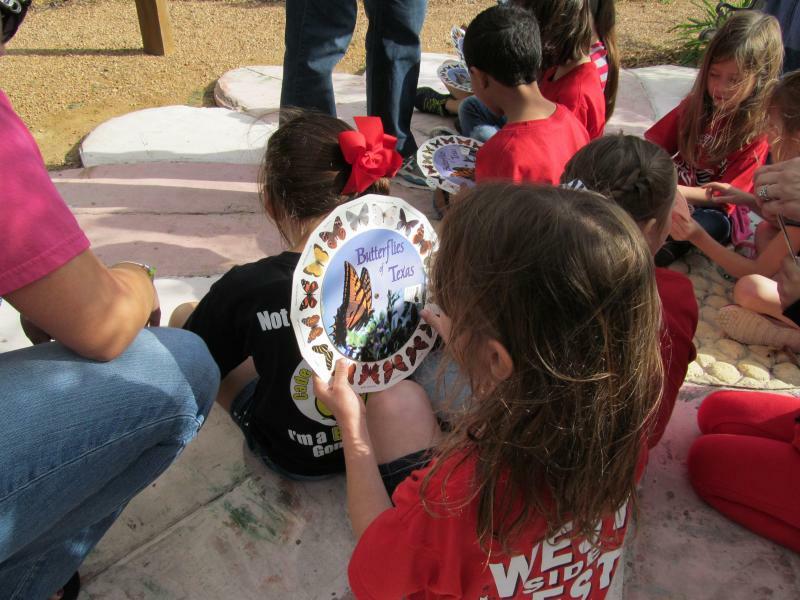 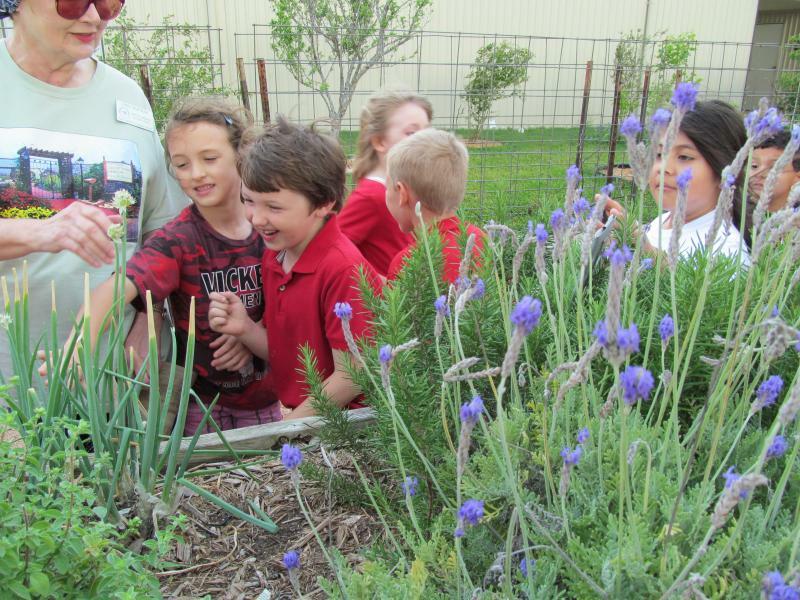 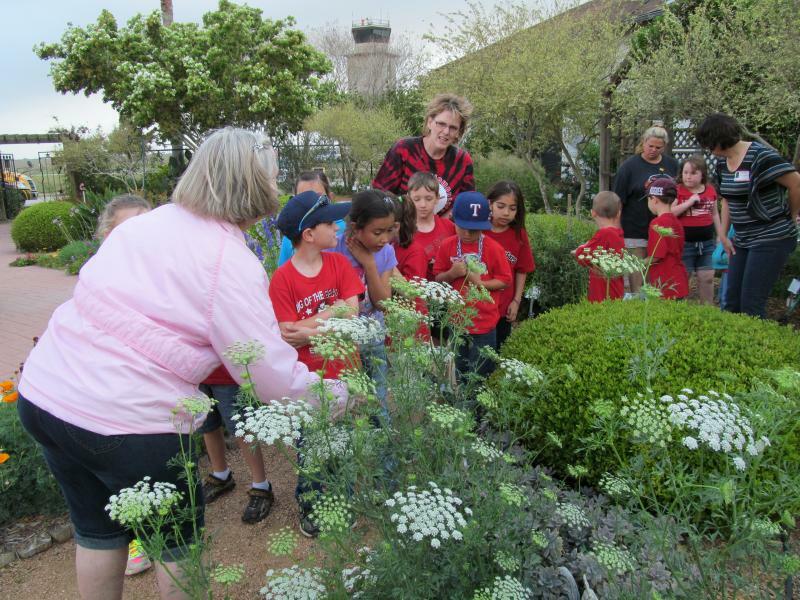 During a cool, windy day, on April 9, 2013, at Victoria Educational Gardens, the 1st graders from Vickers Elementary School toured the Sensory, Texas Native, Butterfly, Birding, and Veggie Areas of the gardens. 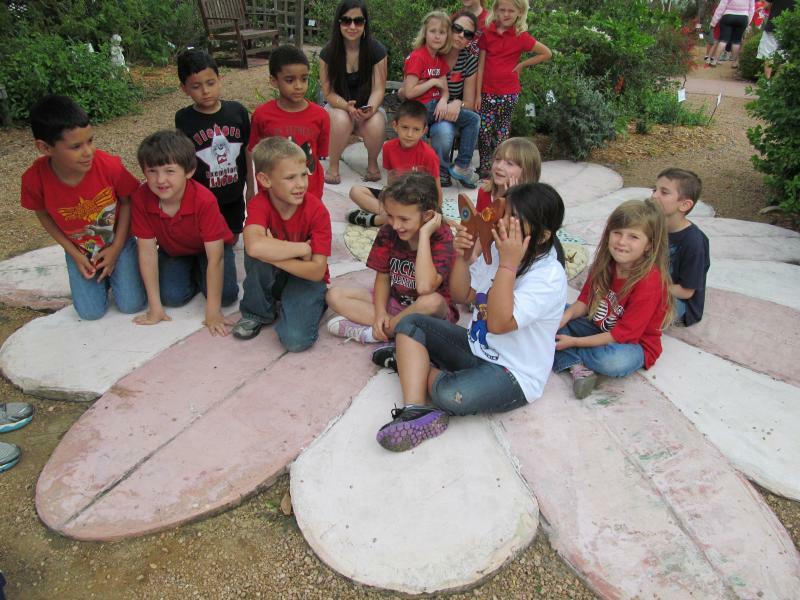 They also learned about the parts of a seed and planted it to take back to school to watch it develop. 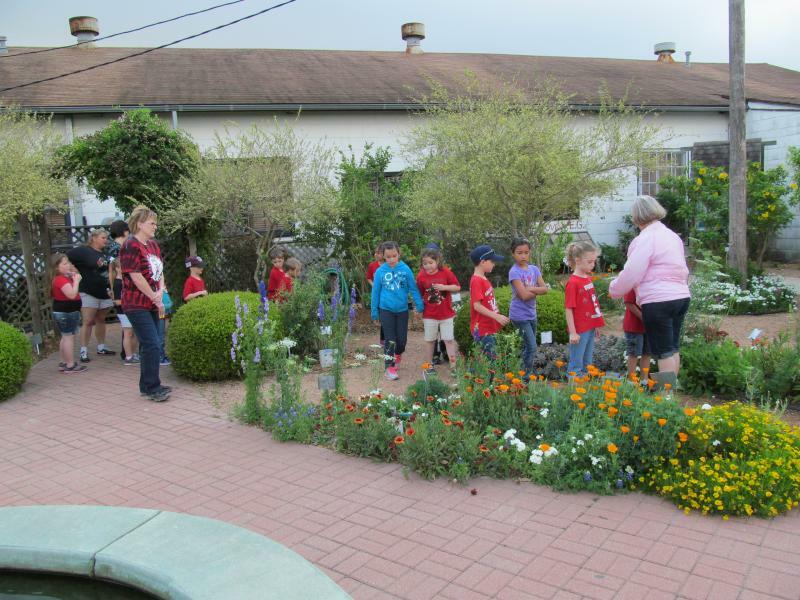 Last, but not least, they toured the mini gardens and went through the labyrinth maze, AND...got to watch the koi get fed in the koi pond in the tropical area. 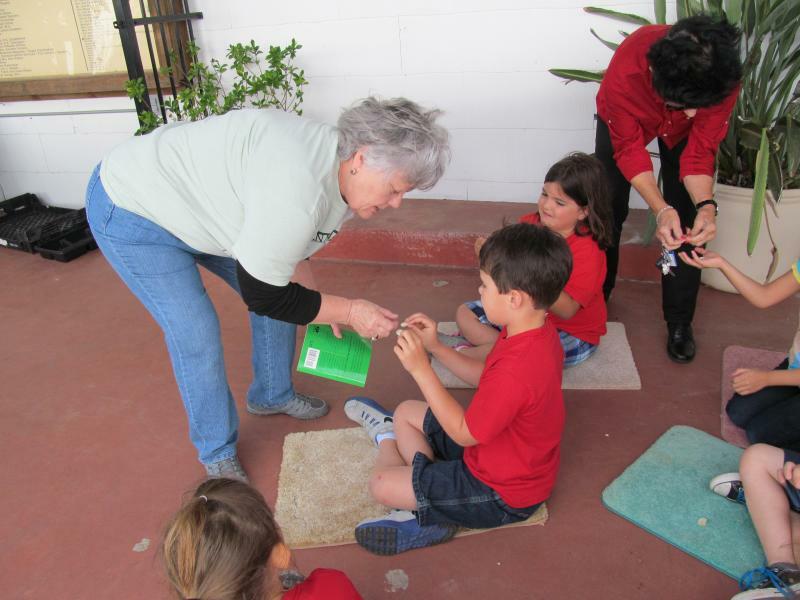 You can click on any photo to see a larger version of the photo. 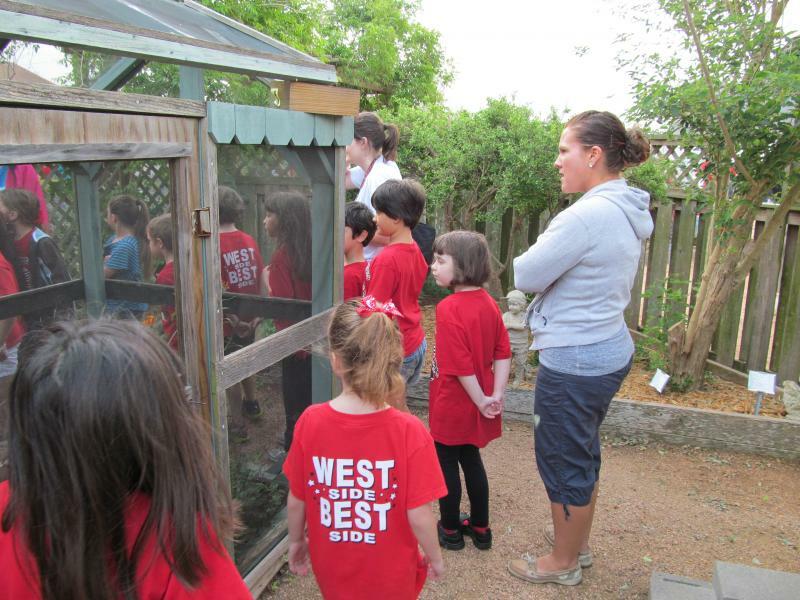 We hope that you enjoy the images of the school tour found on this page. 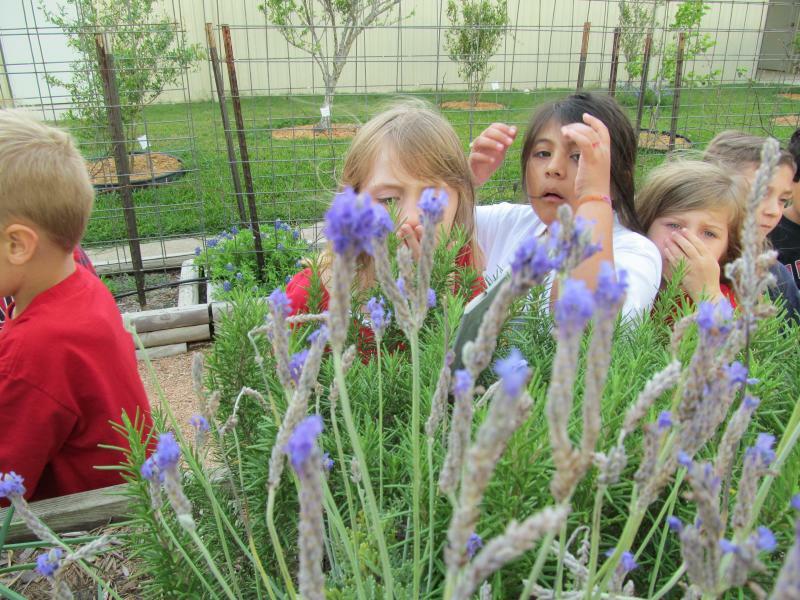 We took quite a few more and won't mind sharing with you if you let us know. 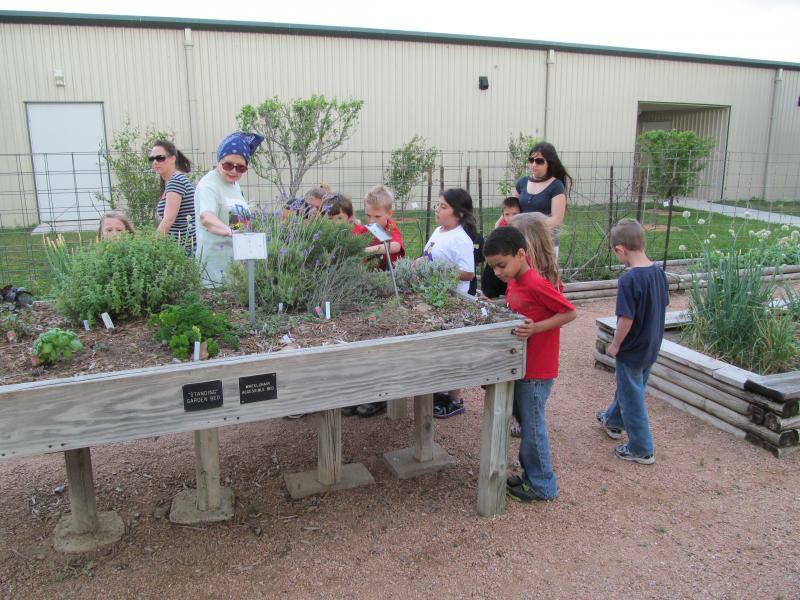 Please call the Extension Office at 575-4581 for info about scheduling a tour for your group.